The Twelve-Pointed Star Nativity has three layers, and — hard to believe! — is made up of just three pieces. 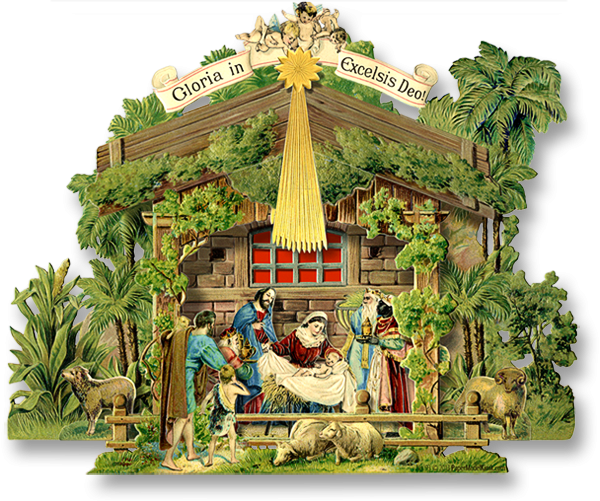 Three PDF pages to print and assemble this classic three-layered manger scene. Assembly is easy: just slip tabs into slots! But we include step-by-step instructions, just the same. Size: 8 x 10.5 x 1.75 inches. 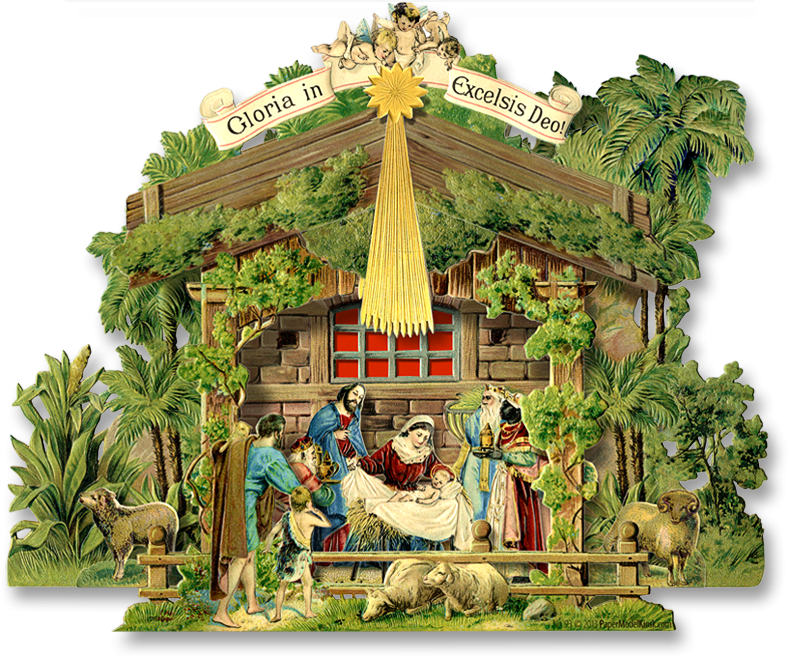 Buy Twelve-pointed Star Nativity No. 2 as part of a collection, and save!